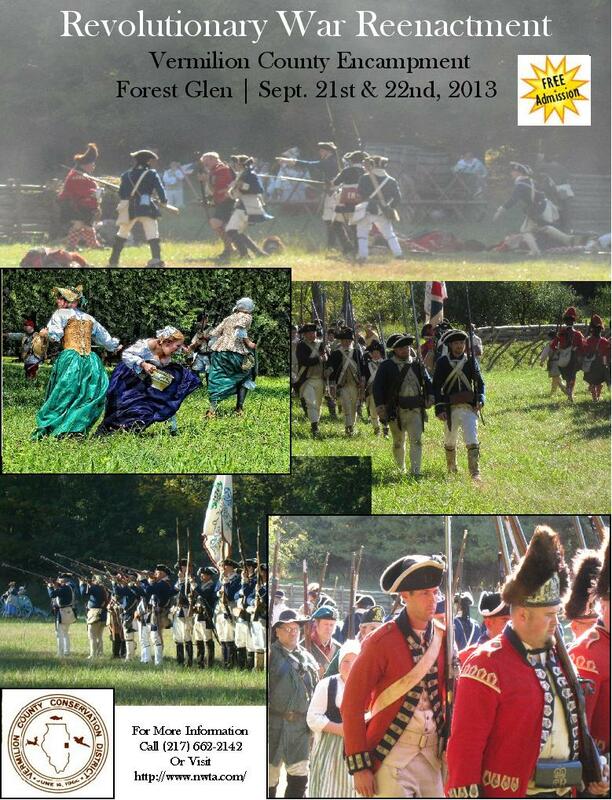 The Forest Glen/Danville Reenactment is Almost Here! And we’re really hoping, with all the promotional work we’ve done, to have more public come and watch the reenactment. I can’t wait to see the turnout! Here’s the poster we put all over Vermilion County. Scroll to the bottom of the page or click on it to see a larger version. I know, I know, I keep writing about reenacting. That’s because the fall is our busiest time of year. I tell you what…I keep feeling like all I do is 18th century laundry. Well, and diapers. I’m always washing diapers. Forest Glen is my favorite event! This event only happens every other year. So if you are within driving distance of the eastern, central part of Illinois, follow these directions and meet us out here, September 21st and 22nd, between 10am and 5pm. (Seriously, use the directions. GPS’s aren’t very dependable out here). Don’t let that stop you. Honestly, if you follow the directions, it’s very simple to find, and it’s the most authentic reenacting site we have. The woods lend a very real feel to the whole thing. If you live around Danville, you’ll hopefully see one of these road signs we made. Now, I am more than a little biased. My sister-in-law and I have been working our butts off to promote this event to Vermilion County. We’ve put up posters, made multiple road signs, contacted schools, and made sure the directions were easily accessible on the NWTA website. My other sister-in-law has put together a first aid seminar for reenactors in the evening. There is a French and Indian War event the same weekend, called Koh Koh Mah. But I’m trusting that the NWTA members, especially the Illinois Regiment (since this is Worthington Company’s hosted event), won’t bail on us. It would be so awful if we really got the public to come out this year, but had a sad turnout of reenactors. I’m really hoping the NWTA members won’t do that to us. Koh Koh Mah happens every year. Forest Glen/Danville doesn’t. So whether you are a reenactor, interested in becoming a reenactor, or you want to see a really cool reenactment deep in the woods, all you have to do is show up! We’ve got the rest covered. I can’t wait either! It is nice to be down in our neck of the woods for once. 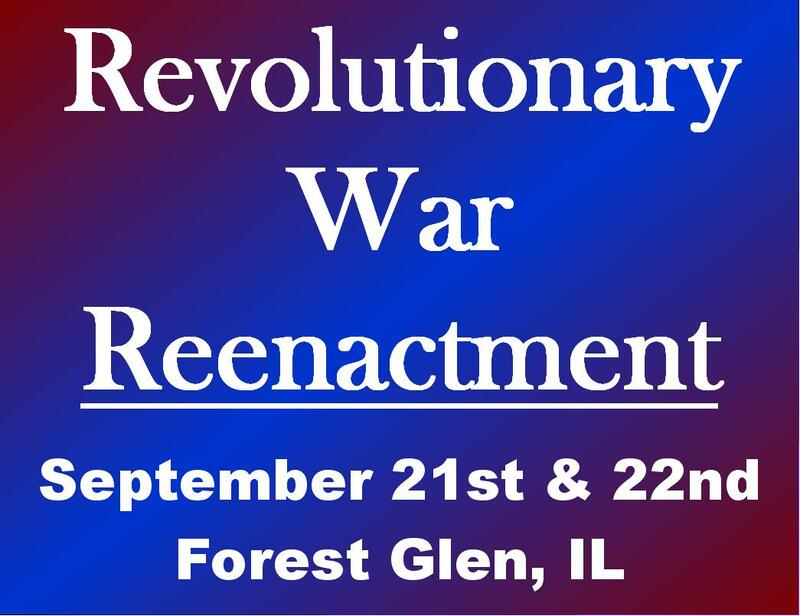 For anyone reading through this post looking for 2015 information, the event is September 26th and 27th at the same location (Forest Glen Preserve in Westville, IL) and it’s going to be awesome! We have a team of energetic people working to provide a great reenactment for both reenactors and the public. You won’t be disappointed! I promise to post a new blog about it soon, so stay tuned!